Last week a letter from church spokeswoman Jessica Moody was sent to Ordain Women in response to OW requesting tickets to the general priesthood meeting. This was a letter of refusal, and as such was hard for many Mormon feminists, myself included. There was a lot in the letter that was challenging for me, but one sentence in particular I found really surprising. In asking OW activists to reconsider their plea to attend general priesthood meeting, Moody said, “Activist events like this detract from the sacred environment of Temple Square and the spirit of harmony sought at General Conference.” Reading this was a strange moment of clarity for me because I understood a key point of disagreement or perhaps simply misunderstanding between supporters of OW and Moody: I believe we share a very different understanding of the relationship between activism and sanctity, spirituality, and harmony. When I read, this I especially remembered the words of my sister, who attended the event in October with my name in her pocket so I could have some physical presence despite my geographical separation from Temple Square. After participating, Eva told me that it was one of the most spiritually powerful experiences of her life. Eva and I wrote this together in the interest of showing why we disagree with the statement that “activist events like this detract from the sacred environment of Temple Square and the spirit of harmony sought at General Conference,” and instead feel that faithful activism can create harmony and has an inherent sanctity. Eva’s words tell the story of her personal experience last October. My words, which will be in italics, share some thoughts on the connections between activism and spirituality. Six months ago, I was dropped off after a bridesmaid dress shopping expedition at a small park almost directly between my apartment in downtown Salt Lake, and Temple Square. I was running late, as usual, and nervous about showing up to an event where I knew relatively few people. I had been to the planning and training meeting a few nights before, during which all sorts of frightening outcomes had been postulated–being yelled at, being ejected from temple square, being attacked. The rational part of me knew that these were very, very unlikely, but maybe these anxieties were partly stand-ins for the truly terrifying thing that I was volunteering to do that day. I was going to ask to be let in somewhere I knew I wouldn’t be allowed, and in the process, bare my soul to a stranger. I was going to make myself vulnerable in a way I had not done since my last Girl’s Camp testimony meeting, when I sat with a group of women and girls that I had somehow become wholly integrated with for those moments. I’d said a few words about the love and gratitude I felt, and then burst into tears. The following year after that deeply spiritual experience at Girl’s Camp, I began to feel more and more alienated from my peers and teachers at church, and from the spirit I used to feel there. I was being taught things I felt way down to my core were untrue. I witnessed bullying that went unnoticed and unaddressed by many of the youth leaders who were clueless as to how to respond or connect to those of us girls, the majority, who didn’t fit in. I no longer felt like I belonged in my congregation or my youth groups, and eventually I stopped participating. In the intervening years, I dearly missed the church I had once loved and felt a part of. But I also felt completely at a loss as to how I could participate, how I could find spiritual fulfillment, while feeling all too aware of the stories and voices that were missing–the uncomfortable truths about the real problems of real humans who, more so than the leaders or the buildings or the worldwide organization, make up the church. Too often I had seen the leadership on various levels was unable to address or even acknowledge these issues–sexual violence, abuse, mental illness, unplanned pregnancies, poverty, institutionalized racism, sexism, and homophobia–that I witnessed constantly and experienced myself. And so, ignored, they got worse. I had witnessed it as a young woman and been powerless to help. I felt sure that I would continue to be powerless. And so I withdrew. To participate in activism at all demonstrates faith: faith in oneself, faith in a community of activists and in the subject of one’s activism. OW activists demonstrate faith in the church we love when we take personal risks because we believe in a church that can continually progress and improve, just as a personal repentance process requires faith in an atonement that promises that individuals can change, improve, and become “brighter and brighter until the perfect day” (D&C 50:24). Activism and dissent have intersected with sanctity and spirituality during many key moments in history. Immediately the Civil Rights Movement comes to mind. Religious communities became an important site of organizing and I can’t imagine the spiritual resources that were called upon to face the repression enacted upon Civil Rights protesters. We can look upon our own history as Mormons and see vibrant activism among women of the early church campaigning for suffrage. Faithful dissent also has a strong presence in the Bible, from Daniel refusing to follow oppressive laws about religion to Jesus Christ being brave in speaking and acting out when the church as it existed in its time was not reaching its full potential. Almost a year ago, I became aware of an opportunity to participate as a member of my church once more in a way that felt right to me. As soon as I learned about the Ordain Women action planned during General Conference, I knew that I needed to attend. I knew that this was the right thing. And so I showed up that day. I had been sick all week, I was nervous, I had friends in town, but I showed up there at the park across from the church buildings and bowed my head for the prayer. I accepted a small piece of paper marked with another woman’s name, performing the ritual for her by proxy. I found a place in the line walking down the block and across the street to wait for tickets on Temple Square. Once we arrived, there was a good deal of waiting. There was chatter around me, and I smiled and participated a bit. I felt at once reverent and introspective, and joyfully aware of the people around me. My people. My spirituality and my activism are both close to my heart and they complete one another. I feel the spirit intensely in an activist setting and I have a practice of spiritual preparation that I undergo before actions to seek guidance in my spirit and behavior. At a recent KXL dissent action I attended, I felt the spirit so strongly. I was with the Earth Quaker Action Team, a Philadelphia-based Quaker group of environmental activists and a group which has taught me so much about activism and its potential to feed and be fed by spirituality. At this action, the public square where we were standing became a sacred space. At various points in the day I sang in a large group as I do at church, I held prayerful silence, and even when chanting I couldn’t help but be reminded of shouting hosanna in unison with my fellow churchgoers at a temple dedication. At most points in the day I felt uplifted, inspired, and edified. Truly I felt the spirit with me that day as I do on Temple Square. I had just shared with this perfect stranger, who was ultimately more or less powerless, one of my deepest desires, fully expecting to be turned away. As an action, taken literally, it made no sense. Neither did sharing several loaves of wonder bread with an auditorium of friends, neighbors, and strangers. Nor wading into a small indoor pool with my father and allowing him to dunk me under the water, placing flowers on the grave of a dear friend who died for her birthday, when, for all I know, she’ll never be aware that they were there, or sitting around a campfire crying with a group of people I spent very little time with under any other circumstances. And yet. I loved the use of the word “harmony” in the letter from Jessica Moody. I am so glad she reminded us of the importance of a spirit of harmony during General Conference. I would also reconsider that activist events, especially faithful and uplifting activist events such as the one that will be hosted by Ordain Women detract from harmony. Years spent singing the soprano part of church hymns as Eva sang the alto part next to me in the pews taught me that harmony can only come from a diversity in voices. A singular voice, or many voices singing the same note, can create no harmony. Here I am reminded of a something President Uchtdorf said: “In the great Composer’s symphony, you have your own particular part to play– your own notes to sing… if you rise up and join the chorus and allow the power of God to work through you, you will see ‘the windows of heaven’ open, and He will ‘pour you out a blessing, that there shall not be room enough to receive it.” Beautiful musical harmony that comes from a variety of voices can be so powerful in inviting a sacred spirit. Similarly, faithful activists such as those involved with Ordain Women are bringing sanctity to Temple Square and I believe we have the potential to hear a powerful harmony thanks to the diversity in thought we will bring. I turned away from the man as my eyes filled up with tears. I was hurt. More hurt than I’d expected to be. But I also felt powerful. I felt connected to the people around me, and to the universe. I walked home to listen to the priesthood broadcast, too sick to remain outside with the others. And for the first time in many years of watching and listening to this worldwide broadcast of the leaders of the LDS church, even as my attention drifted from the talks, to washing dishes, and back again to the talks, I felt like I was a part of something important, and that I belonged. I don’t understand the tagline of “Not in Primary Anymore”. Does it mean feminists aren’t working in primary callings? That can’t be true since I know there are some that do. Does it mean you’ve grown up? Working in Primary myself, I hope it doesn’t mean you are leaving the command by the Savior to become more like little children in obedience and humility. Eric, I think it’s just suggesting that “young” means those older than Primary aged. Also, it suggests a desire for deeper knowledge and understanding. I appreciate this essay, particularly the vulnerability it required to not just participate in the OW action but also in writing about it. I would like to relate a somewhat different experience: I and my sister grew up in a part of the country where Mormons were in the minority. Many of our high school teachers would make patronizing remarks about people who were more religious and conservative than they were–and they often reacted negatively when they found out we were Mormon. The reaction from peers was worse. The president of the Christian club started ignoring me when she found out I was Mormon. And I would sometimes overhear harsh comments about Mormons from kids in my academic program. Church, though, was in some ways worse. There was a lot of bullying that went on. The Bishop’s daughter told the YW to specifically exclude my sister from their social circles. I didn’t have much in common with the girls my age at church. 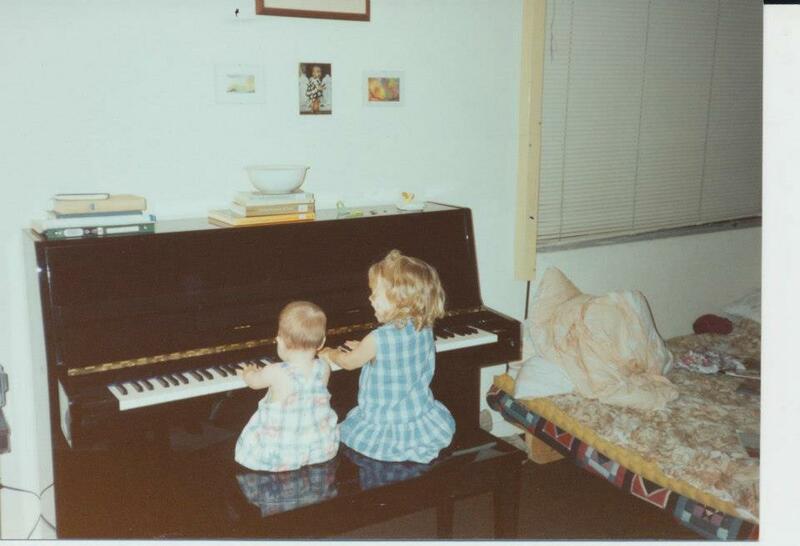 My sister and I were in many ways very alienated, very isolated during our adolescent years. My parents were poor and rarely invited to social activities with the more popular families in the ward. But even so, the doctrine of the gospel was bright and brought internal joy, and my parents believed strongly in service to their religious community. We didn’t withdraw; we dug in. We accepted callings and attended most activities. We had church leaders we didn’t click with. I personally had a couple of disagreements with a member of my stake presidency, a man who was very faithful but also sometimes given to being domineering. But we saw leaders with their frailties grow in their callings, and we felt gratitude when others were patient with our weaknesses and limitations as a family. We also saw the YW who was one of the meanest girls I’ve ever encountered completely change. She started reading the Book of Mormon, gained a testimony of the restored gospel, and went from mercilessly harassing the girls in our ward to being their trusted confidante and counselor. I don’t want to say, “You should have sucked it up and kept attending.” What I do want to say is that after investing so many years in this community, I love it, love it, love it. Actively. I love the members in all their humanness, I love the leaders who are some of the most humble people I know and are earnestly trying to serve their flocks. I love the General Authorities, who speak words of light, warmth, and truth that sometimes run counter to mainstream American culture. I also want to say that the Mormon religious community I was a part of growing up was a vulnerable minority. Over the last decade, bullying of Mormons has escalated. I’ve heard some very disheartening stories, including about a young friend of mine who, already suffering from an anxiety disorder, went into a depression after some harsh treatment at school because she was Mormon. I wanted to relate this story because I want you to understand why I find OW’s actions troubling and deeply hurtful. My Mormon identity is hard-earned, hard-won. The Mormon community is my home. I’ve invested years of service in it. When I see groups imposing external ideologies and inviting external pressure on this community, it’s painful to me, and I worry about the repercussions my ward family back home may be facing because of it. I appreciate that activism is where you find your spiritual home. But the communities activists react to have their own shared sacred spaces (physical and ideological) that activists consciously encroach on. These communities have a set of shared values that activists consciously oppose. I just ask that next time you find sancitity in activism, be aware that you are trampling on others’ sacred space and spiritual identities. Please be sensitive to that, and possibly consider how you can speak in language and symbols that will engage with, rather than alienate, members of that community. And be aware that if you have chosen to withdraw from rather than “dig in” to actively serving that community over the years, then you may be seen as a guest at the table. This was really well done, strong writing, and excellent point. I am no longer active, but the more I read from feminist mormon women the more I wonder if I should be fighting to make a space my own in the church. Thanks for being vulnerable, you two are amazing examples of charity.